Cape Byron Distillery and Stone and Wood Brewery have teamed up to create the inaugural Brewstillery Mix Masters competition. 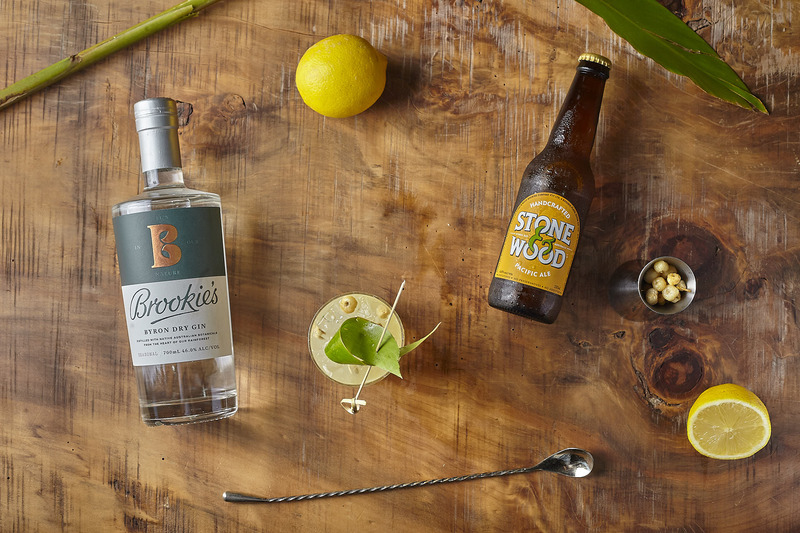 The born & raised Byron Bay brands are inviting bartenders to submit a serve using Brookie’s Byron Gin, Stone & Wood Beer and featuring native ingredients. Finalists will be invited to a bartender’s showdown and Brewstillery celebration at 7 locations across the country, their serves will be put to the test in front of their peers. Drinks will be judged with a focus on innovation and creativity celebrating native ingredients. Understanding the ethos behind Stone & Wood and Brookie’s brands will be deliberated, with one winner from each event announced at the competition party on the night. The winners from around the country will take part in the ultimate Byron Bay experience, where they will brew a unique batch of Stone & Wood beer and distil an exclusive batch of Brookie’s Gin, inspired by the native ingredients used in their winning serves. Transport, accommodation, food and beverages are all inclusive. Eddie Brook, Co-Founder at Cape Byron Distillery says, “We are stoked to officially welcome you to submit your entry for the inaugural Brewstillery Mix Masters. Your serve could be inspired by a gin boiler maker- a gin drink with a beer chaser, or something as simple as a Gin Mule cocktail topped up with a spritz of Pacific Ale. It really is open for bartenders to get creative”. Stone & Wood Head Brewer, Caolan Vaughan says, “Winners will have the opportunity to learn about and immerse themselves in the amazing diversity of native Australian ingredients and enjoy the wonderful delights of what Byron Bay has to offer”. Finalists will be announced from Monday the 3rd of September 2018.